LOCATION A well presented bungalow within easy reach of local shops and bus routes. Horsham, just a short drive away, is a thriving historic market town with an excellent selection of national and independent retailers including a large John Lewis at Home and Waitrose store. There are twice weekly award winning local markets in the Carfax in the centre of Horsham for you to stock up on local produce. East Street, or ‘Eat Street’ as it is known locally, has a wide choice of restaurants ranging from Pizza Express to the Michelin starred Tristan’s. PROPERTY This two double bedroom bungalow comes to the market in excellent condition throughout having undergone a program of refurbishment by the current owners. The large lounge with room for both lounge and dining room furniture boasts feature fireplace with the large window flooring the room with lots of natural light. The kitchen has been updated and offers a wealth of storage under and over work tops surfaces. A useful utility area has been added which also now provides the property with an entrance porch. 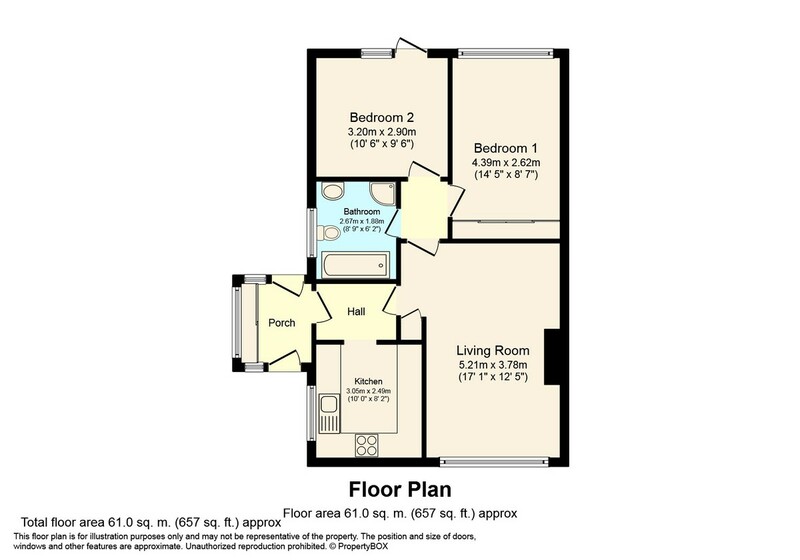 The two double bedrooms have plenty of space for storage with bedroom two having a door leading on to the rear garden. The family bathroom completes this well presented residence. OUTSIDE An area of patio adjoins the rear of the property with the remainder of the garden being laid to lawn with mature shrub boarders. There is a gated rear access to the side and rear. The garden is enclosed by fencing and there is a timber garden shed and space for bins, etc. The garage is situated to the rear of the property and has an up and over door to the front, power and light. In addition there is parking for one vehicle.